Cloaked in the snows of California’s Sierra Nevada, the 3,200-year-old giant sequoia called the President rises 247 feet. 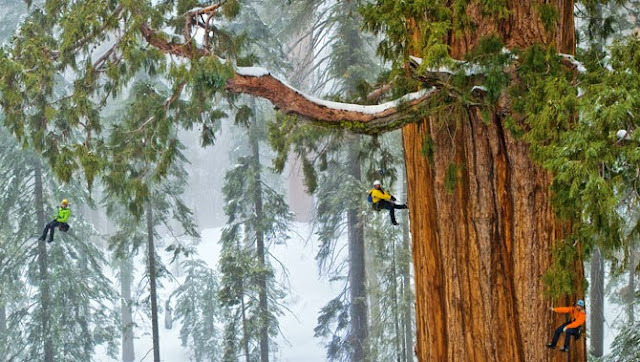 Two other sequoias have wider trunks, but none has a larger crown, say the scientists who climbed it. The figure at top seems taller than the other climbers because he’s standing forward on one of the great limbs.